Police would like to make your visit to our exciting city as pleasant and safe as possible. You can help us further by following these simple tips while touring. Carry pocketbooks in the bend of your elbow, held close to your body. If there is a long strap, wrap it around the bag. Carry credit cards and cash in your pockets. Keep pocketbooks on your lap when dining out, not dangling over the back of a chair. Avoid placing pocketbooks on hooks on the back of a fitting room or bathroom door, where someone can easily reach over and remove them. Make sure that luggage is only given to a member of the hotel's bell staff and a receipt is issued for stored luggage. Never leave luggage or other expensive items unattended at airports or taxi stands. Prefer pre-paid Taxi Booth for hired transportation, since it is governed by POLICE. In this system you have to pay in advance for Taxi Fare which is already approved by Authorities. Adequate number of police officers are deputed in proper uniform outside the Arrival Hall and parking area. You can contact nearest police officer to intimate about undesirable elements and touts in your observation. Even though, police is taking utmost care, vigilance and surveillance over these elements, still it is felt that we can eliminate these elements effectively with passengers' active participation in the drive. Preplan your destination regarding your stay and tour. Never take advice of Taxi Drivers regarding your stay/tour. Please take information from Police Officers, "May I help you" counter, or any other Govt. 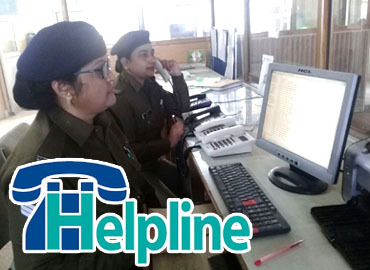 recognised information Centres.If you face any harassment or law and order problem, you can dial 100 from nearest telephone for police assistance.